The name says it all. Comfort Zone’s generously padded arms, divided back cushion, and fully padded footrest deliver ultimate seating comfort. 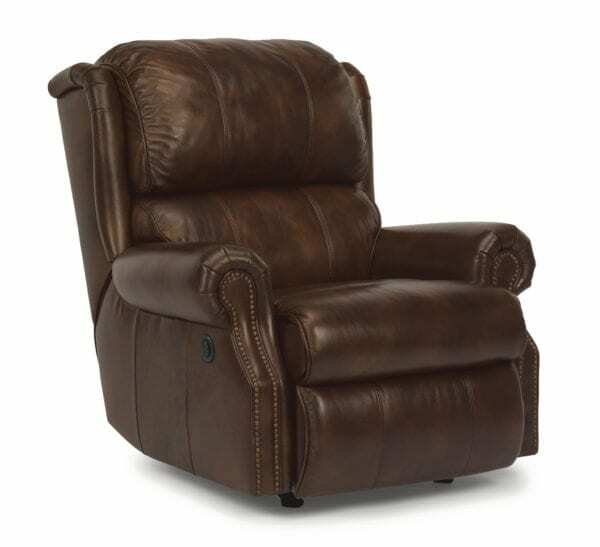 Subtle heavy-thread stitching and nailhead trim accentuate the rolled arms, and a power reclining mechanism lets you change angles effortlessly from an upright to a fully reclined position with the touch of a button.